"GENTLE READER," Enjoy the silence and the scenery of kayaking in the San Juan Islands. Welcome. Orcas Island Kayaks is located at Obstruction Pass, on the scenic southeastern side of Orcas Island at Lieber Haven Rentals's marina 1945 Obstruction Pass Rd. 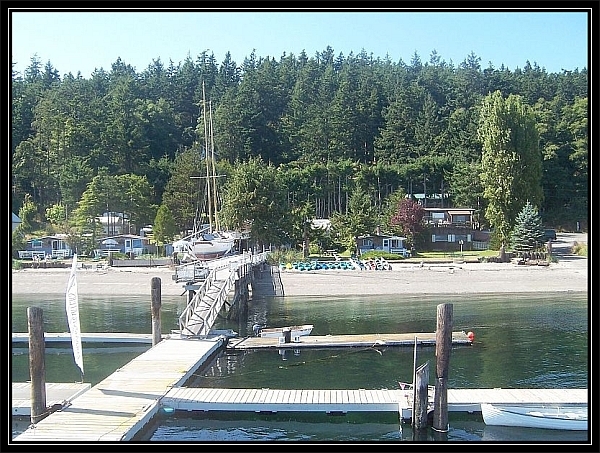 Olga,Wa==- A very popular lodging, birdwatching, fishing and kayaking location. Orcas Island Kayaks offers affordable hourly kayak rentals: Year around, (weather providing) We have several kayaks and do not take long term reservations. Just give us a call (360) 376-2472 or come on out when you want to rent! We offer a variety of single, double, and triple kayaks for rent - Poly-molded and fiberglass kayaks, with and without rudders. All Kayak rentals include life vests, paddles as well as optional cushions and spray skirts. "Remember" We rent for local use only which is a Very beautiful bay! Plus ; If you choose to go around obstruction island you will have a comprehensive quick cruising experience of normal natural wild life of the San Juans..
All rentals are launched at Lieber Haven Marina' a beautiful location. Obstuction Island is private property so landing there is prohibited. However, you are welcome to have a picnic on the beach at the LIEBER HAVEN. You can tour the bay in under an hour, or you can go all the way around Obstruction Island in about an hour and a half." We advise taking more time to go in coves and look down at beautiful sea life" This provides a comprehensive experience of the San Juan Islands by kayak. Common wildlife seen includes Bald Eagles, Deer, Otters, and Seals of various species. If you are lucky, you may even; rarely; see Orca or Minky Whales and Dolphins! Please do not land on Obstruction Island !!!. "privately owned"
Kayak with friends. Get close up and personal with the marine life.in this MAGNIFICENT ,BEAUTIFUL ENVIRENMENT ! Amenities include: Restrooms, and Picnic Tables and a beutiful beach plus a spectacular waterfront view of neighboring islands! 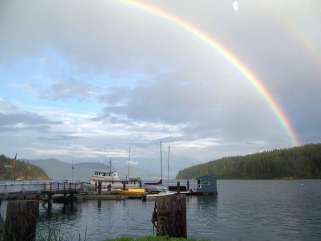 Orcas Island Waterfront lodgings, No Minimum Nights Stay! 1 and 2 bedroom Beach Cottages, Studios and Rooms (fully furnished). 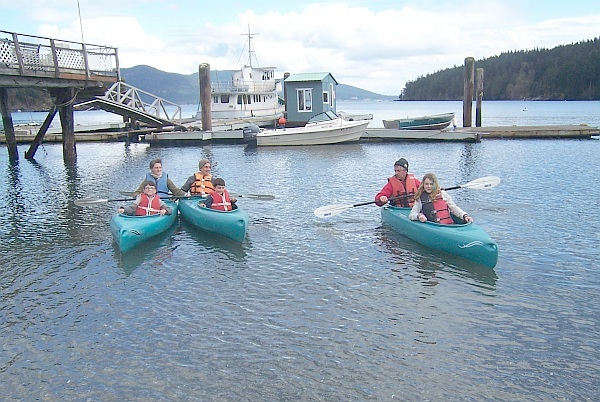 Orcas Island Kayak Rentals and Small Boat Rentals, all at Lieber Haven Rentals and Marina. just walk around and enjoy the view'!' Get An Orcas Island Map and get a current Orcas Island ferry schedule at the Orcas Island Chamber of Commerce in Eastound Village! Visit us at the Lieber Haven Rentals and Marina Homepage.